History is written by the victors. They that control the past, control the present. Even if they’re not secure in this, they still try to control the future too. The hand of history is heavy in these parts – Europe’s battleground over the centuries. Following a brief period of inter-war freedom, Poland was again carved up. From the latest chapter in regained freedom, we had an anniversary this last week. A celebration? Up to a point I guess. Personally, I feel it’s more about remembering those who fought and never saw the fruits of their struggle for liberty. On this stage tramp many players: goodies and baddies, right and wrong, saints and sinners. Was it not naïve of them darned commies to think that a godless religion could usurp 2000 years of Christianity, itself champion of the cuckoo’s art, which assimilated the sacred feast days of their pagan forebears. Communism in Poland? Like putting a saddle on a cow, as Uncle Joe put it. The last of the Communist leaders, Wojciech Jaruzelski, exited the stage last month, living just long enough to see his hitherto nemesis, JPII, ascend to sainthood. 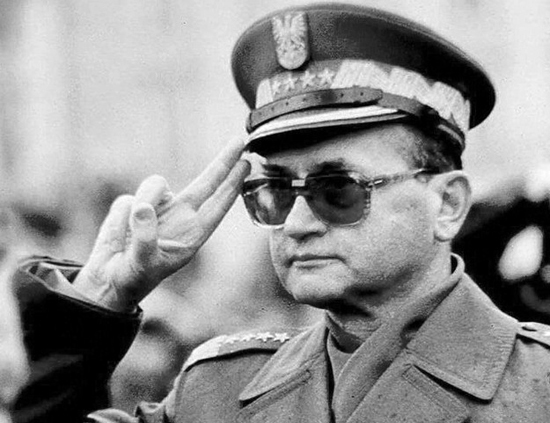 Today, Jaruzelski is viewed as a pariah who blocked Solidarity’s path to freedom, marshalling martial law to prevent what eventually became inevitable. Was he a pragmatic patriot at heart, shackling his own people to prevent a fate event worse? Having become defence minister around the time of the Prague Spring, he’d have known something about the backlash. He must have been a fanatic, a true believer. I wonder how many other Poles were seduced by Leninist idolatry after spending two years in Soviet mines as a prisoner of war. He emerged, as from Plato’s cave, blinking in the light of his new-found creed. In different historical circumstances, he might have retired and picked up a hefty non-executive gratuity from Ray-Ban or some such. Given how things worked out, he could hardly do that, renouncing his beliefs of the previous half century. And that, history would not forgive. Get that man an advertising contract, stat. Across from this unrepentant sinner we have the freshly sainted JPII. The choosing of saints has become a longer process over the last couple of hundred years, proof of miracles and all that, a far cry from the times when the vox populi conferred instant beatification. Not that JPII had any problem with this, creating more new saints than all of his predecessors. During the dark times, statues of Lenin abounded. Nowadays statues of JPII adorn many public spaces. Though, were they to meet in the afterlife, I imagine they’d both be opposed to the cult of personality or worshipping of false idols. Most of JP’s statues don’t do him justice (apart from all the bronzes hidden in that big room in the castle in Nowy Wiznicz). It’s as if there was a pope statue factory churning out the body in papal garb, leaving sculptors to add their interpretation of the man. What happens to these players when they leave the stage? JP is still in Rome, beneath the Vatican, planted on the ruins of pagan temples. Jaruzelski is now in a cemetery for former soldiers. This provoked some outrage among the usual suspects. Though I have to admit I missed the furore of that one, ironically spending the weekend in Szpital JPII, swapping one liquid diet for another. At any rate, it’s a time for reflection on those monumental events 25 years ago. Pity a thought for those who at that time stood up for democracy and freedom in the east, crushed by the People’s Tanks. That chapter has still to be written. We look forward to reading it. 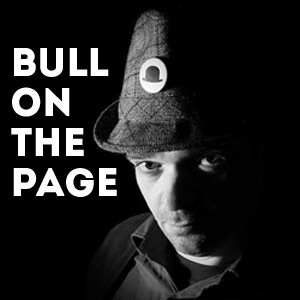 Mike Doherty presents Bull on the Mike on Expat Radio.